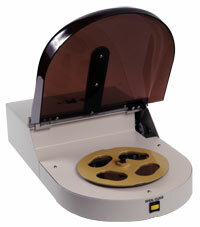 ADIVAN’s Stamper Reader is designed to control quality of DVD and CD Stamper of all norms. With this drive it is possible to read data DVD5,9 (PTP, OTP), 10. It is also possible to use it for bit to bit comparison between a stamper and your customer’s original master. The Stamper Reader brings the power of testing to one more phase of the CD manufacturing process.